At Dogs Country Club we run a very unique multipurpose facility for dogs. Here at Dogs Country Club, we are passionate about all animals especially dogs and we understand how important your canine friend is to you. 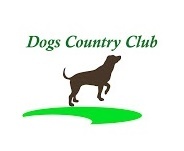 With our large facilities, Dogs Country Club is a leading dog service provider in the North West. We have created a unique set up; a single place offering a whole array of doggy services. We bring together individuals all highly skilled and experienced in their own area of pet care and let them work together in order to bring you the very best in both quality and variety all in one great location.
" Secure Field Hire, Dog Training, Puppy Club, Dog Socisalization, Breed Meets Up, Play Sessions, Doggy Day Care, Home Boarding, Events, Dog Workshops, Seminars, Agility Club, Kennel Club Good Citizen Scheme, Dog Grooming"
Dogs Country Club is situated within thirteen acres of beautiful Cheshire countryside. We are fully insured, licensed and provide the highest possible standard in all our services. We are open all year round, including weekends and bank holidays. We receive 5* rating every 24 hours. Services that we currently offer include secure field hire to enable owners to exercise their dogs in a safe and spacious environment. This is ideal for walking dogs, breed meets up, and events. We run unique one of a kind "Country Style Day Care" where our highly trained staff take care of your dogs throughout the day. It’s a great opportunity for your fur kids to socialise and make new friends but for us, it’s about much more than that so we ensure that we provide a schedule of both fun and educational activities for them to take part in throughout the day. We offer a home boarding service too so if you’re off on holiday you’ll be able to leave your precious pooch with us happy in the knowledge that they will be spending their time in our home as one of the family- where they belong. 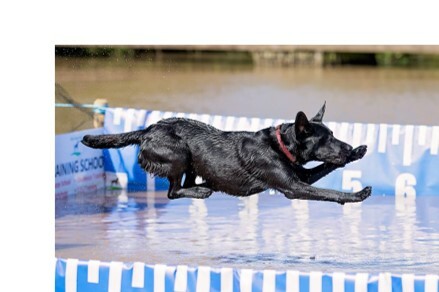 Our training school is led by extremely knowledgeable and experienced instructors who provide regular obedience classes under the Kennel Club Good Citizen scheme as well as agility classes and tasters and workshops on a range of subjects. We also offer one-to-one training and work with dogs who are reactive or display other behavioural problems. We host dog-related seminars and have high engagement within the industry. Dogs Country Club has more then 25 different breed meets up all the way through the year. Whenever you are looking for a specific breed engagement, or weekly dog socialization session, or just rescued dog and have no idea if he/she can benefit from this environment Dog Socialization team can help you! Would you like to get engaged? have you got great ideas and dog breed related activities? or perhaps looking to book a private event? or passionate about the charity you support and would like to get engaged but not sure how we would like to hear from you!